Do you prefer to develop a native mobile app or a hybrid mobile app? Maybe this comparison can be useful if we talk more about the context… the pros and cons. In this episode, Sergio Monge and Allan Porras talked about some important factors to consider if you plan to choose one “format”. 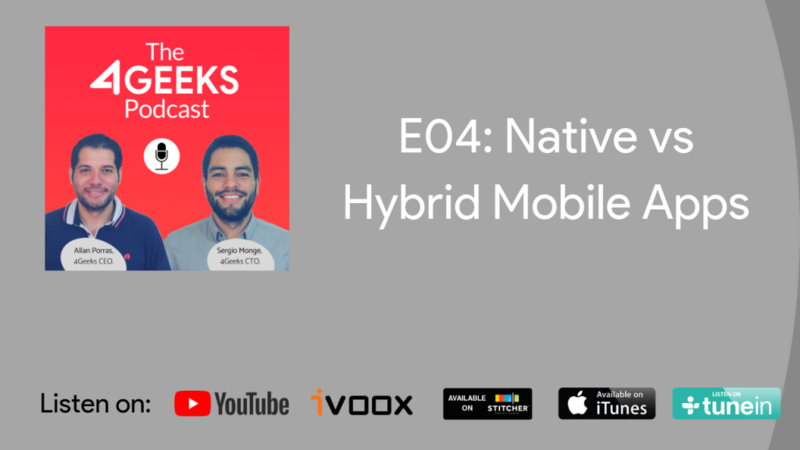 For example, one of the most important things on native mobile apps is the performance, security and the capability to access device so easily. The thing is you need to establish separated development teams for each platform (Android or iOS). It can increase the budget.